They say all good things must come to an end. But one good thing never does: God’s message of hope in the lives of His people. And we need hope these days! 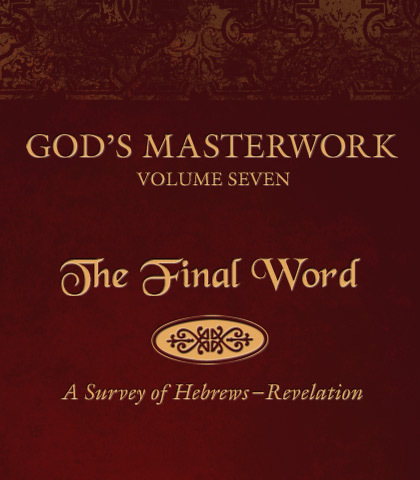 If you feel you’ve reached the end of your strength—that your hope is slipping—then join Chuck in this seventh and final volume of God’s Masterwork. You’ll discover joy in the journey as Chuck walks you through the general epistles of Hebrews through Jude as well as the book of Revelation, pointing out significant landmarks of faith along the way. Chuck’s messages on God’s Masterwork may come to end, but the message of God’s Masterwork never ends. Hope is eternal—and it is available for you.